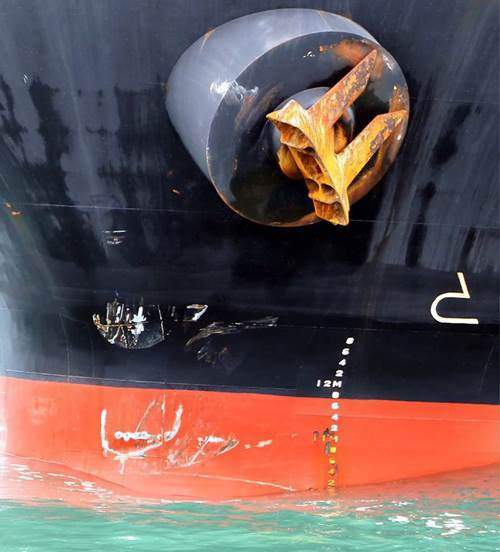 A Panama-based bulk carrier cargo ship collided with fishing boat 'Carmel Matha', early Sunday morning. Panama registered vessel Amber L under custody of coastal police, anchored off the coast of Cochin | (Express photo). KOCHI: Officials from the Directorate General of Shipping on Monday began the inspection of the cargo ship bearing a Panama flag that hit a fishing boat here on Sunday following which two fishermen were killed and one went missing. The shipping officials are accompanied by the Coast Guard, Coastal Police and Kerala police officials. The cargo ship, carrying fertilisers, is now berthed in the outer seas and after inspection, a decision would be taken on what needs to be done. Speaking to IANS, Kochi Police Commissioner M.P. Dinesh said "there are a lot of procedures to be followed in taking forward this case". "Today's probe will reveal what exactly happened and accordingly the process of law will be set rolling," said Dinesh. The decision on taking into custody the ship's captain, a Greek national, would also be known later in the day. While the bodies of two fishermen were brought to the shore on Sunday, a search is continuing for the missing person. Among the deceased, one is from Tamil Nadu and another from Assam. The missing fisherman is said to be from Uttar Pradesh. Eleven fishermen were rescued by another fishing boat. According to the fishermen in the ill-fated fishing boat ,'Carmel Matha', the accident occurred around 2 a.m. on Sunday about 16 nautical miles from the Cochin coast. "There was no warning by the cargo ship and after hitting the fishing boat, it sailed away without stopping, which according to maritime laws, is a grave crime," the fishermen said.